^ 2.0 2.1 Jacobs, Mark. 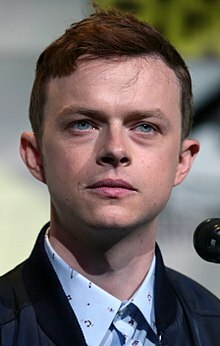 Dane Dehaan. Interview Magazine. March 2011. ^ 3.0 3.1 3.2 Longsdorf, Amy. Former Emmaus High student Dane DeHaan: "I was obsessed with acting". The Morning Call. 2012-02-09 [2014-02-01]. （原始内容存档于2012-02-11）. ^ profile, McCall's, August 23, 2012. ^ Dang, Simon. Newcomer Dane DeHaan Joins John Hillcoat's ‘The Wettest County In The World’. indieWire. 2011-01-28 [2011-02-10]. （原始内容存档于2011-02-08）. ^ "HERO 10: California Future". [2015-05-29]. （原始内容存档于2015-03-04）. ^ Prada Taps Annie Leibovitz for Men's Spring Campaign. WWD. 2014-01-08 [2014-01-08]. ^ Ford, Rebecca; Kit, Borys. Dane DeHaan, Mia Goth Joining Gore Verbinski's 'A Cure for Wellness' (Exclusive). hollywoodreporter.com. 2015-04-08 [2015-06-08].